This work utilises a choreographic language derived from the dancers themselves. Their capabilities have encouraged me to exploit a seemingly endless physical resource. 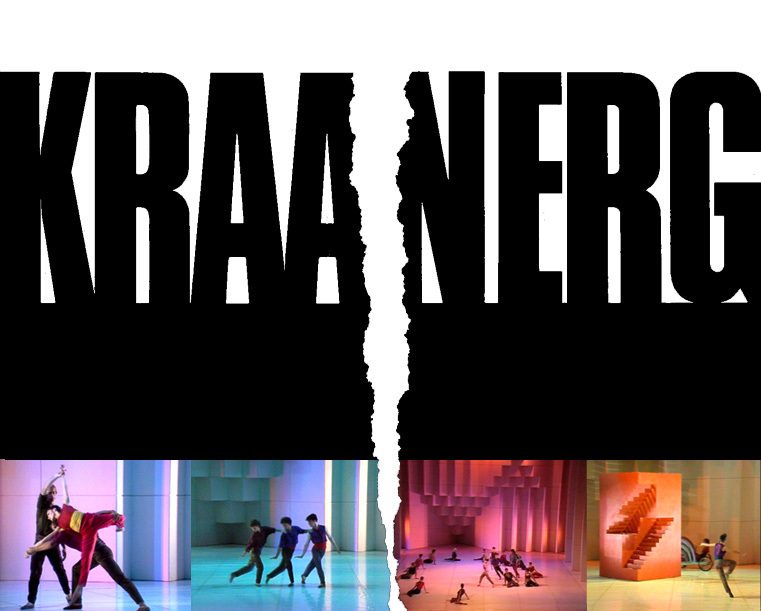 Kraanerg has been a revelation for us, albeit a difficult one, and an important evolution in the Sydney Dance Company’s creative development. 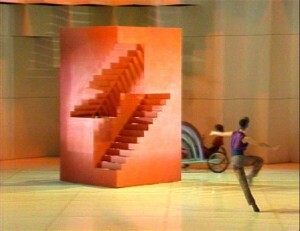 In this work, the choreography evolved most often in silence (Graeme had of course intently listened to the score). By a process of editing my own “visiontrack”, to and against the score, I hoped to achieve a harmonic but independent energy flow. The constant image was of two great energies, one created of movement, the other of sound, flowing sometimes in parallel, sometimes at crosscurrents, and at others, in head-on collision. Roger Woodward – a “lighthouse-keeper” – was placed between two monumental forces. The music, which he had introduced to me some two years earlier, was always the departure point and will remain the backbone of the work. By not imposing the score on the initial choreographic process, I believed the dance would retain its independence and integrity.